Realms play a consequential role in city life. Be they public or private, they render how we experience a city--working, living, and playing. As landscape architects practicing in Los Angeles, a metropolis with no singular center, we have come to champion the assemblage of granular urban landscapes. These are spaces in between, connecting transit, street, work, home, and recreation together. They better resolve the ground plane and turn messy middles into new realms where urban life is on display. These landscapes transect scale, urban ecology, and spatial experience. Their success beckons for the creation of another such landscape thereby fostering a more contiguous pedestrian realm. RELM is a landscape architecture and urban design practice honing the past 30 years of practice into a new studio dedicated to urbanism, connectivity, and design. Our ethos is simple--capture the wonder in between. 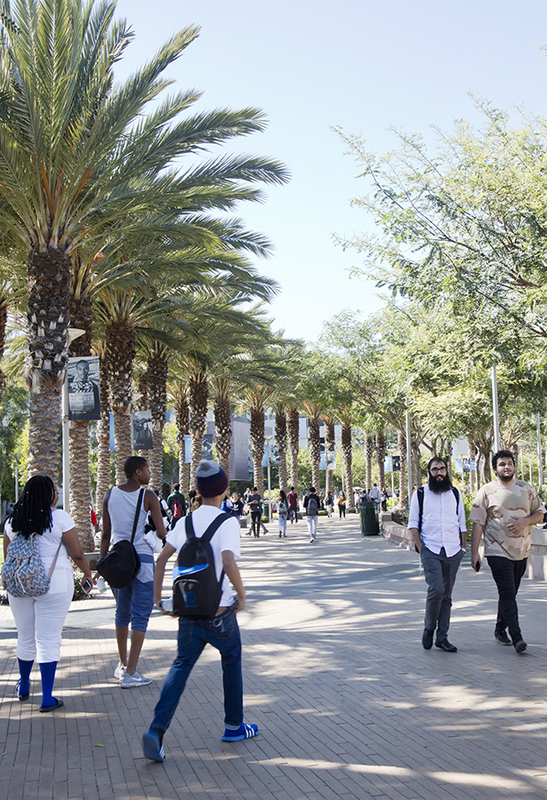 In sequence, our landscapes engender a more urban LA and beyond, be it along the street, or within a plaza, urban park, or campus. Our projects cultivate community, resolve incongruent uses and access, and drive public life.